It seems that Wall Street’s eyes have been focused on China over the last week or so, and the news hasn’t been good. The economic conditions in China have caused their markets to drop significantly, which also spread into the US markets. Significant losses have occurred this month, so as I started to do my monthly Loyal3 investment review I braced myself for bad news. As expected, my stocks lost significantly again this month. Instead of wallowing in the bad news of another down month, I’m going to take on a different perspective. If we look at the history of the market, over time it increases. I’m in this for the long haul, so this is simply a time when stocks are on sale! 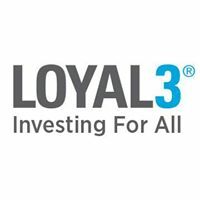 I’m going to take advantage of the sale, and put in my order TODAY for my first $50 stock purchase of the year through Loyal3. I’ll split it down the middle, $25 to Buffalo Wild Wings, and $25 to Apple. I’m not sure if I hope stocks stay on sale so I can pump more money into them, or for the market to start to recover. Have you stopped investing due to the current market conditions, or are you staying the course? Now is the time to buy more stock. The sustained market downturn is a good opportunity to get some shares in good quality companies like apple. I put in my order that day, James – I’m sure it’ll pay off over time!